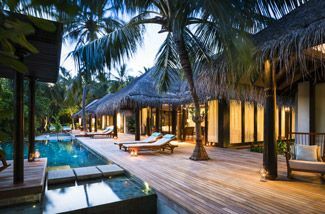 Comprised of 80 private pool villas in the Baa Atol archipelago, this is one of the most beautiful places to stay in The Maldives. With crystal clear waters and stunning reefs, you can’t pick a better place for snorkelling. 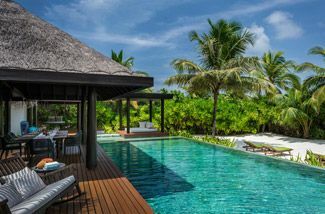 What’s more, the SKY bar offers you stunning views of the cosmos through their very own telescope and the wisdom of their in-house astronomer. 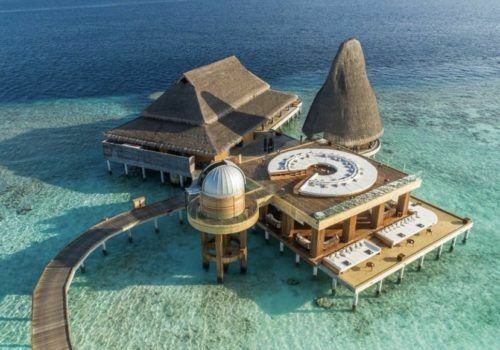 Oh, and did we mention that it’s got an underwater restaurant too? 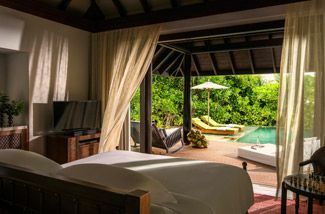 With a private infinity pool, sheets made of Egyptian cotton and stunning views of the sea, this a real luxury experience. 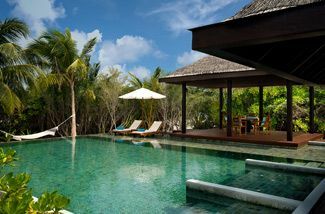 This 382 square metre villa offers an even larger swimming pool and large outside deck. 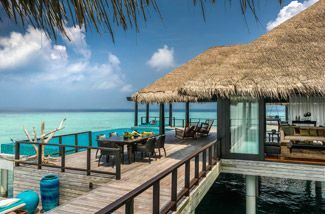 Designed to give you the best views in The Maldives. 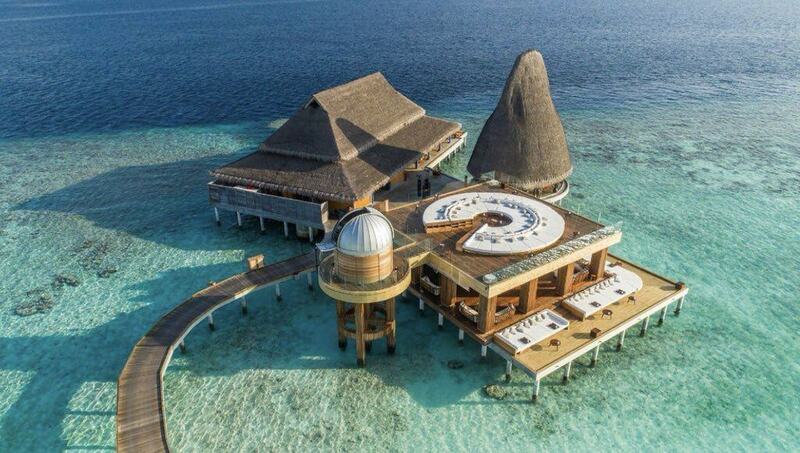 The Maldives does over water properties the best. 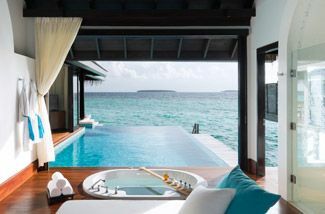 Wake up with the sea lapping around your villa. 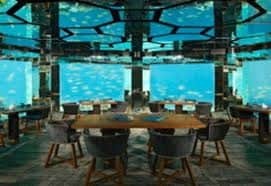 Check out the iconic underwater restaurant and wine cellar, boasting an excellent gourmet menu. Head to the Teppanyaki bar for some scintillating oriental food. Asian inspired delicacies, from red snapper to tender lamb. This cocktail lounge has views to die for, and a cocktail menu that’ll make your heart sing. What’s more, it has a telescope and in-house astronomer. You’ll be staring at the surface of Saturn while sipping a cosmopolitan.